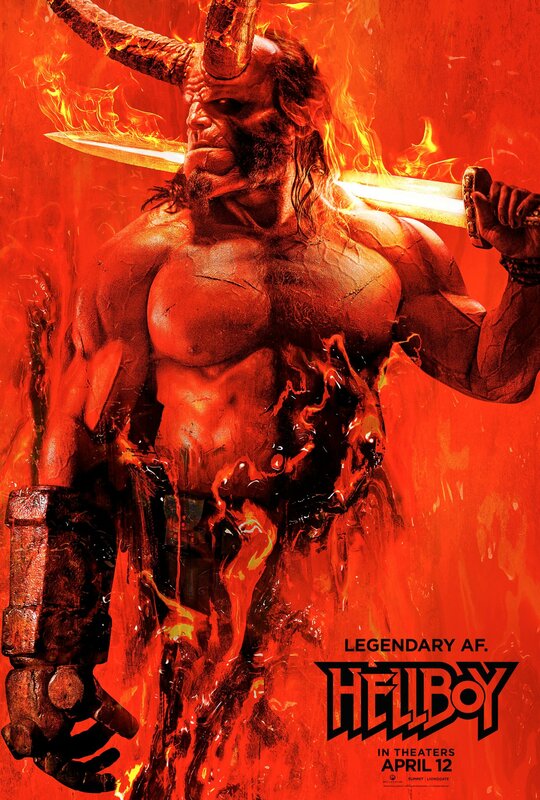 Hellboy looks ready to unleash Hell on his foes in this new poster for the upcoming Lionsgate film. Directed by Neil Marshall, the new Hellboy film will star David Harbour (Stranger Things) as the big red monster hunter. The film is set to portray Hellboy’s battle against an ancient sorceress who wants revenge against humankind and is set to hit theaters on April 12, 2019. More information on the new Hellboy will be revealed at the film’s official New York Comic Con panel this Saturday.